How Does the Ebola Outbreak Affect Travel to Africa? The largest and longest outbreak of the Ebola virus in history, which is ongoing, has the disease in the news and has people worldwide worried about the spread of the disease. While it may not be too much of a concern outside Africa at the present time, it is a grave worry there—especially in the continent’s western region. For international travelers, there’s a lot of concern about how this outbreak will affect them. We’ll look at where the outbreak is happening, whether travel there makes sense, and how to protect yourself if you do go. Where is the risk of Ebola greatest? The current outbreak is occurring in Guinea, Liberia, Sierra Leone, and Nigeria. Don’t get too concerned about the outbreak spreading outside of Africa, though. The Centers for Disease Control and Prevention (CDC) is assisting with screenings of travelers leaving West Africa to help control the outbreak. Additionally, border patrol in the United States - especially at Dulles International Airport in Washington, DC, and John F. Kennedy International Airport in New York City - is stepping up screenings, watching for symptoms, and is prepared to isolate any travelers who appear to be infected. 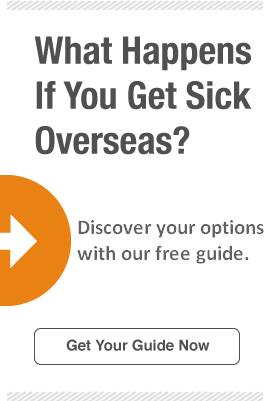 Should I travel to Ebola-affected regions? The CDC has issued travel warnings for the countries currently affected by the Ebola outbreak. The CDC has three levels of travel notice: Watch Level 1, Practice Usual Precautions; Alert Level 2, Practice Enhanced Precautions; and Warning Level 3, Avoid Nonessential Travel. A Level 3 warning means there is a high risk to travelers in the country. A Level 2 alert means travelers experience increased risk associated with specific factors. Sierra Leone, Liberia, and Guinea are all currently under a Level 3 warning, the most severe. Nigeria is under a Level 1 alert. Liberia’s outbreak began in March 2014, and is ongoing. Affected districts include Bomi, Bong, Grand Bassa, Grand Cape Mount, Lofa, Margibi, Montserrado (including the capital city of Monrovia), Nimba, and River Cess. There is civil unrest in the affected areas. The outbreak in Guinea began in March 2014, and is ongoing. There is civil unrest in affected areas, which include Boffa, Conakry, Dabola, Dinguiraye, Guékédou, Kissidougou, Kouroussa, Macenta, Pita, Siguiri, and Télimélé prefectures. The outbreak in Sierra Leone began in May 2014. There’s civil unrest in affected areas, which include Bo, Bombali, Bonthe, Kailahun, Kambia, Kenema, Kono, Moyamba, Port Loko, Pujehun, Tonkolili, and Western Area, including the capital of Freetown. Limited cases of Ebola have been reported in the Nigerian city of Lagos. The CDC recommendation is to avoid contact with people suffering from Ebola, particularly blood or other bodily fluid. If I have to go, how can I protect myself from sickness? For most travelers, risk of contracting Ebola is relatively low. Again, the only way to contract Ebola is to come into contact with infected bodily fluid; for anyone other than healthcare professionals, the chances of that happening are low. Tourism and business trips, and family or friends visitation is relatively safe as long as they are not ill. If you have to go and you take precautions, you are likely to be okay. You may, however, risk contact with a fellow traveler who is unwittingly ill, or just hasn’t reported it - this poses the largest danger for civilians. To ensure you are well taken care of, contact your country’s embassy in the country you’re visiting for assistance. Pay attention to your health upon your return for at least 21 days, especially if you participated in risk activities noted above. If you develop symptoms upon your return, tell the doctor about your recent travel and risk activity as early as possible. The largest Ebola outbreak in history will most likely put your travel plans on hold if you’re planning to go to Nigeria, Sierra Leone, Liberia, or Guinea in the near future. We recommend keeping updated with developments in the CDC’s travel warnings, and following them - don’t go somewhere they tell you to avoid.